Professional equipment isn't sold by amateurs! 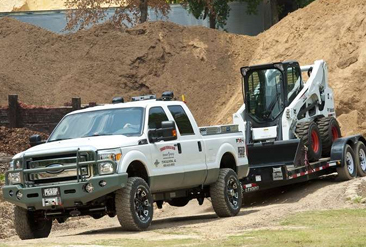 At Forest and Lawn, we only carry the highest quality brands of outdoor power equipment and trailers. Our products come with uncompromising standards and our commitment to every customer is just as strong. 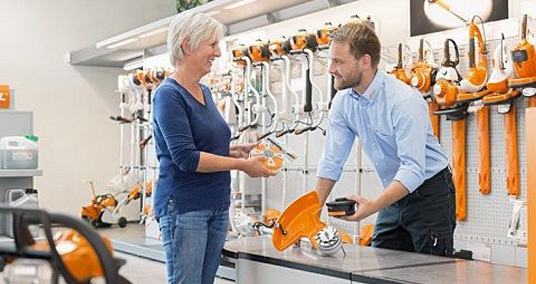 Our expert staff will make sure you’re equipped with the best products you need to get the job done. We carry only the highest quality products for lawn professionals and those who want their lawn to look like it’s professionally kept. 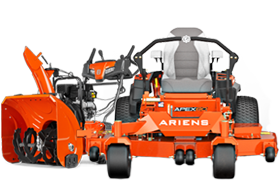 From push to ride to robotic mowers and more. We have top-of-the line safety apparel for any job. 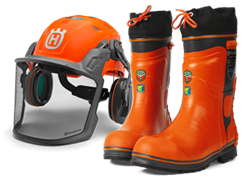 From eye protection to boots, gloves and outwear and everything to keep you safe while working on site or on your own project at home. 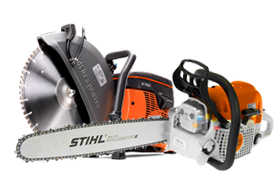 Our premium list of forest equipment includes tree trimmers, pole saws, chainsaws and more. Whatever you need – we carry it. Check out all the products we have available for you. Need a saw sharpened, equipment repaired or a tune up for your favourite tool – drop it off or we can pick it up to make sure you’re back in operation in no time at all. 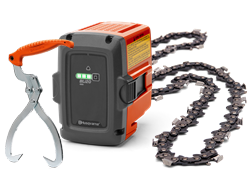 IF it is parts you need for any of your tools or equipment – we’ll find it for you. 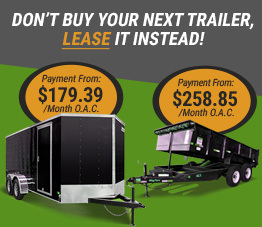 Take a look at our top selling trailers – everything is available at our store and check our current deals here. From landscape equipment and trimmings, furniture, appliances, and building supplies, to boats, bikes, and ATVs, the utility trailer is a versatile and adaptable trailer..
Like the utility trailer, the dump trailer is perfect for a variety of loads. The advantage of the dump trailer are the hydraulics, making disposal of the load a breeze.. The cargo trailer is a very versatile flatbed that is enclosed keeping your cargo/load clean and protected from the outdoors. The Cargo trailer is perfect for long distance..
It’s been called the ‘Ultimate’ off-road ATV/Snowmobile trailer. The Bush Burro’s is rugged and made for moving your snow machines, ATVs or other cargo on smooth highways..
We carry only the top-selling and premium line of products in North America for our customers. If you need it, we have it. If not, we’ll get it for you. 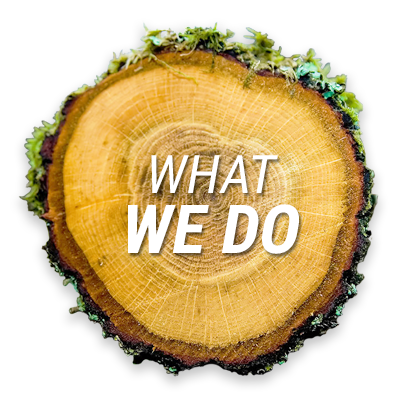 Our team at Forest and Lawn Equipment is here to make sure your tools and equipment are working hard for you. We service everything we sell, and our trained and professional technicians are authorized to service all major brands. Our team can diagnose problems, fix your equipment and breathe life back into tools most think is beyond repair. Give us a call, stop in or check out our pricing and repair guide. We can also pick up or drop off your equipment to make sure your down time is limited and you’re back to work as soon as we’re done. Staff bends over backwards to give me good service here. Everyone really knows what to do to give a client a good experience. Top Notch Parts and customer service, Knowledgeable staff who know the product and parts, The best small engine shop in town! Staff is amazing and helpful. I go there for all my lawn, chainsaw and snowblower needs. Have bought a self propelled walk behind lawn mower there… I love it.. have rented trailers there.. Dave and his staff bent over backwards to accommodate my trailer needs.. can’t say enough good things about this place.. Will be making my next purchases there also. 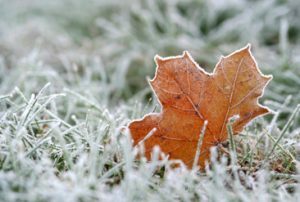 Helpful hints, tips from the pros and some simple advice to make sure you are making the most out of your Forest and Lawn products. 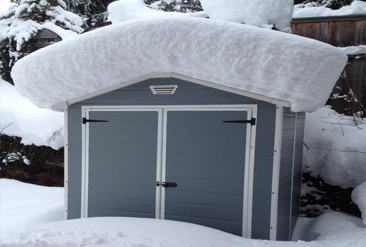 At Forest and Lawn, we only carry the highest quality brands of outdoor power equipment and trailers. Our products come with uncompromising standards and our commitment to every customer is just as strong. Our expert staff will make sure you’re equipped with the best products you need to get the job done..